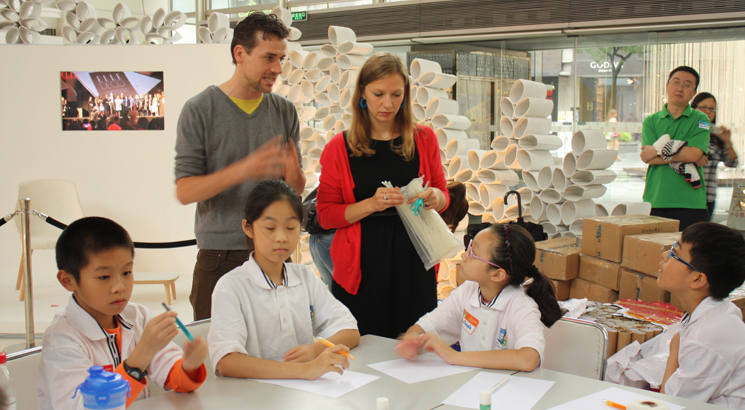 As part of the 2012 Shanghai Xintiandi Windows Event, Studio Glowacka and Nicholas Kirk Architects co-lead a workshop for a small group of ten year old children from the English First language school in Shanghai. 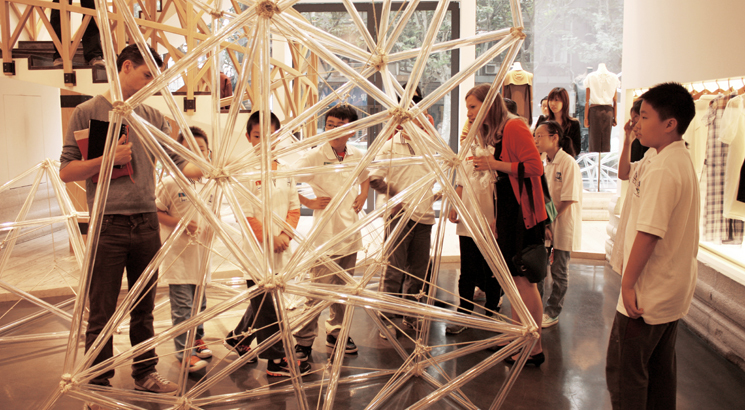 The workshop involved taking the children on a tour of the nine architect’s installations around the Xintiandi shopping centre, focusing particularly on the projects by Studio Glowacka and Nicholas Kirk Architects. 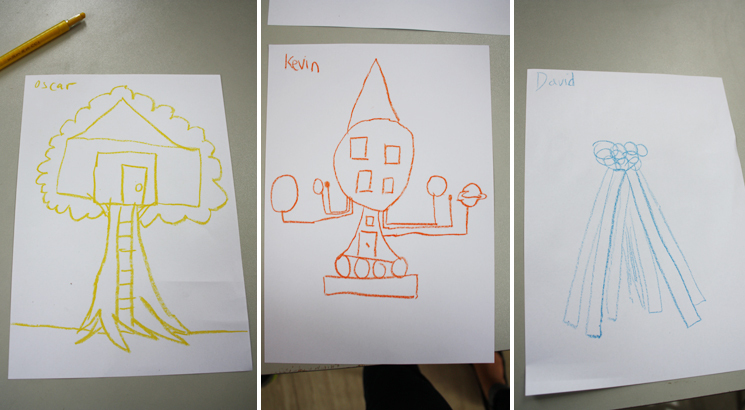 We explained to the children how the designs were conceived, developed and constructed. 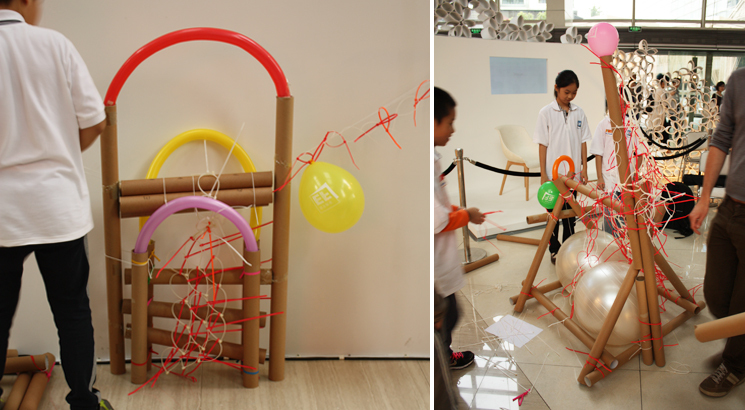 The children were then asked to create ‘dens’ that they could climb into, based on the principle of using repetitive elements to create structures. 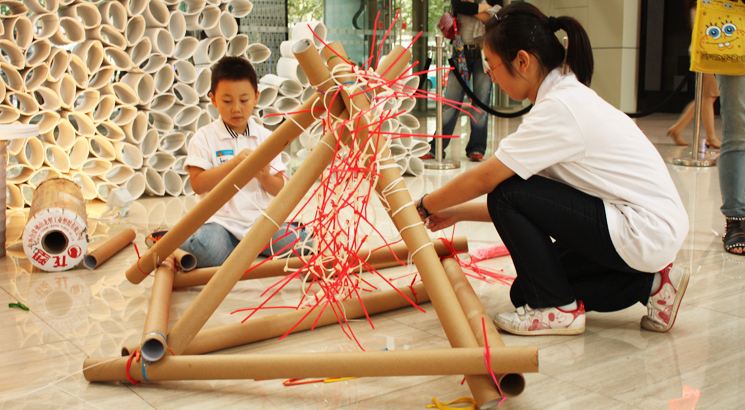 They stared by spending time drawing their ideal den, after which they begun making their dens out of the simple materials provided for them: cardboard tubes, cable ties, balloons, string and sticky tape. 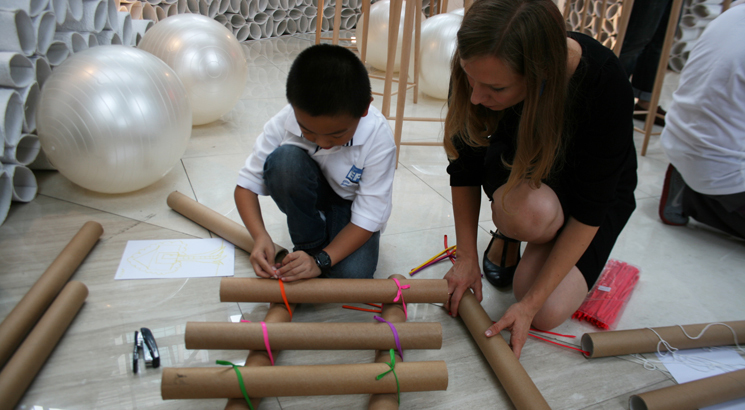 Some children really followed their own drawings, and prizes were awarded for the best use of structure, most imaginative design and the den that most closely resembled the drawing. An overall prize for the best den was also awarded.